We advice caution when travelling to Kenya. 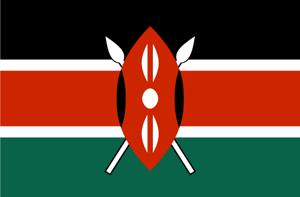 Kenya is a country in Africa (Eastern Africa) with around 38 million citizens and a land mass of 582,650 km². We detected travel advisories from 7 sources for this country. Kenya shares land borders with 5 neighbouring states. For this country, the Danger Index is 3.4 (average value for all countries). All countries habe been reported as somehow dangerous: Somalia (5.0), Sudan (4.0), Ethiopia (2.9), Uganda with (2.6) and Tanzania with (2.4 of 5). See danger map of the region. Avoid non-essential travel along the A2 Highway north of Turbi and the Moyale border crossing due to sporadic civil unrest. Avoid non-essential travel to Lamu county, coastal areas of Tana River and Kilifi counties north of Malindi due to the threat from terrorism and violent crime. Avoid non-essential travel to the Eastleigh neighbourhood of Nairobi due to the threat from terrorism and violent crime. Do not travel to areas bordering Somalia due to the significant threat of terrorism, kidnapping and cross-border attacks. This includes Garissa county, Mandera county and with Somalia, including Kiwayu and coastal areas north of Pate Island. Do not travel to the border areas with Ethiopia and South Sudan, with the exception of the A2 Highway and Moyale border crossing. Cross-border kidnapping and armed banditry make these border areas extremely unsafe. The Austrian Government advises again travelling Kenia. On January 15, 2019, at least 14 people died in a violent assault on the Dusit Hotel complex in the Westland district of Nairobi. Even though the Kenyan government has stated that the security operation in the Riverside area of Nairobi has been concluded, the Ministry strongly advises all those present in the country to exercise extreme caution and maintain a high alert when travelling to the country. It also essential to avoid manifestations and crowded places; follow the instructions of local authorities at all times and to keep track of the situation in the country by monitoring the media and news reports.